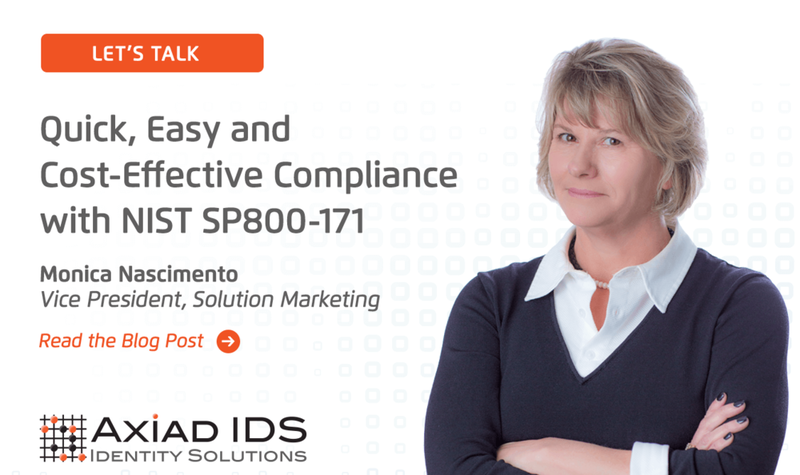 NIST SP800-171 Webinar Series — Axiad IDS, Inc.
Has your company become NIST SP800-171 compliant? The critical deadline of December 31, 2017 has passed. Billions of dollars of new and existing contracts could now be at risk for non-conforming contractors. Join our 30 - minute webinar to learn how to quickly, easily, and cost - effectively comply wtih NIST SP800-181. Contact hanna@axiadids.com if you would like a private meeting to learn how we have helped other organizations comply with NIST SP800-171. I looked at the calendar this morning and thought, it’s time for me to make some noise! For months (actually this entire year), I’ve been informing customers about the looming deadline to comply with NIST Special Publication 800-171. It is now the end of November and it’s all getting very real — just one short month until the December 2017 deadline..